The two photos you see below are a couple of my favourite movements from the program- the top one is frog and the one below is gorilla! I included photos of level 1, but in the actual program you will see level 1, 2 and 3 demonstrated by the program leader Slava Goloubov (he’s amazing btw!). I also absolutely love the corkscrew movement… However I’m still practicing it so that I can work up to level 3, which is done with the use of no hands! I can’t stress enough how important it is to keep our movement practice fresh. If we continue to do the same movements day in and day out, this will lead to massive stagnation and a serious hault in our physical and mental growth. Challenge and change is necessary… that is if you want to evolve! If you are interested in trying out Movement Fundamentals, you can visit the Namaste TV website and use code “NAMASTEMOLLY” for 15% off- this code will work for the entire website. 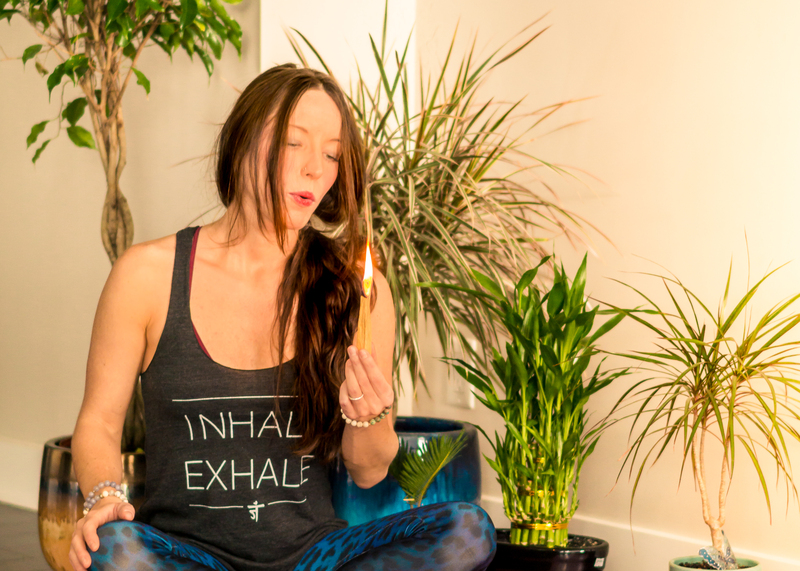 They have some beautiful yoga flows on their site as well and some amazing products you can purchase (such as their Namaste TV apparel, and my favourite Palo Santo wood from South America – which I use before every yoga and meditation session to cleanse and uplift the energy in my home). Wearing; Inhale/Exhale tank by Namaste TV, Leopard leggings by Urban Nirvana.